With just a week to go until the UK Games Expo in Birmingham I thought I’d give it a quick plug. It is the UK’s biggest convention dedicated purely to hobby gaming and it’s getting bigger each year, in line with the hobby itself. The three-day event at Hilton Birmingham Metropole (at the NEC) runs 2-7pm on Friday, 9.30am-5pm Saturday and 9.30am-4pm Sunday. And it won’t break the bank, with day tickets just over £10 and a day family ticket at £30. This will be my first year attending the Expo as I’m usually away during school half term. But I’m really looking forward to it, as its an event a lot of my friends put in the calendar before all others at the start of their year’s planning. If you’ve got nothing planned for this particular end of half term, and are within reach of Birmingham NEC, what have you got to lose! So what’s it all about? One of the largest open gaming areas at the show is the Family Zone. There will be a massive range of family games to try your hand at, as well as areas to get your creative hat on too (they’ll be everything from story telling to designing). Run by Imagination Gaming, its the perfect area for those rediscovering the hobby, as Imagination staff will be on hand to help you choose the right game for your group – whether all adult or with your kids too. Allegedly they’ll have 150 games to choose from too, so you shouldn’t get bored! And if you find games you like, you’ll be able to pick many of them up at the store too. 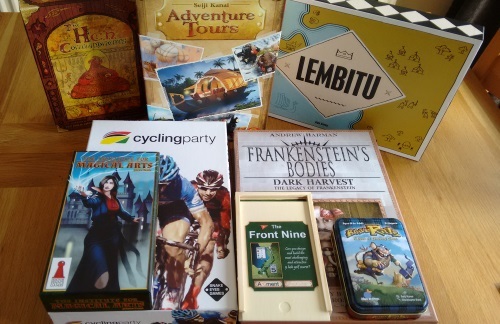 Hundreds of new board and card games are released each year – which all have to be rigorously tested. 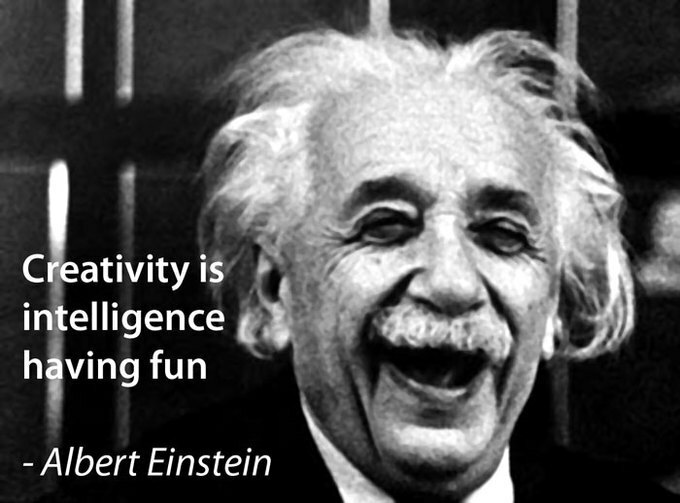 It’s a tough process for designers but it can be a lot of fun too – and you can be part of it. Playtest UK will be at the event all weekend, with budding and published designers looking for members of the public to try out and give feedback on their latest designs. Who knows – you may get a chance to change a rule in the next Ticket to Ride or Magic: The Gathering! Or if you feel you want to get involved, there will be chances to put your own design skills to the test with the board game redesign competition. young or old, many people like to get costumed up for a bit of a party – and parties don’t come much bigger than this. The UK Games Expo is also a celebration of all things geeky, so if you want to dress up as an elf or a super hero knock yourself out – you’ll be in good company (you can bet there will be plenty of daleks, stormtroopers and the like to mingle and your selfies with too). Cosplay is another growing hobby, with people spending an incredible amount of time getting their costumes as accurate as possible (some of them are amazing) – and it’s a great way to liven up the even with a bit of extra colour. 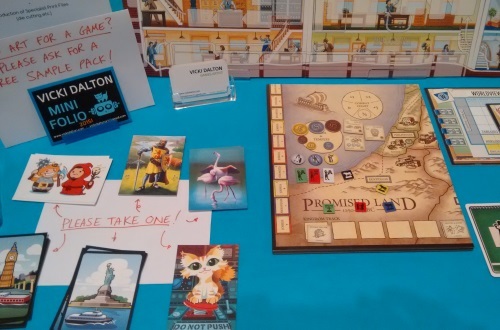 Open gaming is one of the highlights of any board gaming convention, and the UK Games Expo is no exception. At various places and points during the event there will be room for up to and over 1,000 people to sit down and play games – with hundreds available to borrow from the in-house games library (run this year by the fabulous Thirsty Meeples cafe from Oxford). But you can also sign up to join in with a host of role-playing games; or sign up to be in a tournament if you really want to get your game face on. There will also be more than 20 seminars running over the weekend, ranging in topic from how to publish your own game right through to a sci-fi quiz. Some big names in gaming will be attendance for Q&As, including Eric Lang (Chaos in the Old World, Dice Masters, Game of Thrones card game) and Monica Valentinelli (Firefly RPG), while you’ll be able to get tips on everything from fiction writing to running successful competitions and events. Personally I’m looking forward to news on the 2016 expansion into the NEC itself! I’m arriving Thursday evening and will be there pretty much throughout the weekend. You can see a pic of me on the ‘about’ page here: if you read this blog at all, do come up and say hello! It’s going to be a great weekend of gaming, but more importantly socialising. See you in the halls – or in the bar! I started my attempt at making a living from my hobby six weeks ago (initial aims here), so thought I should post an update on the early progress. It’s been an odd start as there have been three Bank Holidays in the first six weeks, meaning I haven’t had full days off from my ‘real’ job. But while frustrating, I have made progress. First up, business cards (pictured). While a little pricey these seemed like a good idea, as I’ve been asked for them quite a bit – especially at Essen – and they seemed like a strong statement of both intent and professionalism. I spent my first couple of weeks researching and then actioning my transition to my own domain for the blog, which was a lot less hassle than I’d feared. Having sourced a good amount of feedback I went with TSO Host and everything has gone well so far. Next I signed up with the UK Gaming Media Network (linked on the right) and created a logo that fully reflected my site’s shift in emphasis to almost 100% board games. It felt important to get the ground work up and done early, and it feels like a gaming site now – but is there anything more I can/should do? Any feedback welcome. While I’m yet to have any success with sponsorship or similar, I’ve recognised the fact that ‘income’ in terms of the site doesn’t need to be in the form of actual cash. Clutching at straws? Maybe, but I’ve already received a free game to review (and a good one) and a press pass for an event I would’ve had to pay to get into, which between them have more than covered the cost of the business cards and the hosting for the year. It’s a start! Unfortunately several other publisher approaches have met with deaf ears, but I’ll persevere – at least one is looking hopeful if I can get my rankings up (and that’s happening). And while I haven’t yet looked into AdSense (not that I’m getting the traffic to make much money), otherwise I think I’m making good on my initial goals. 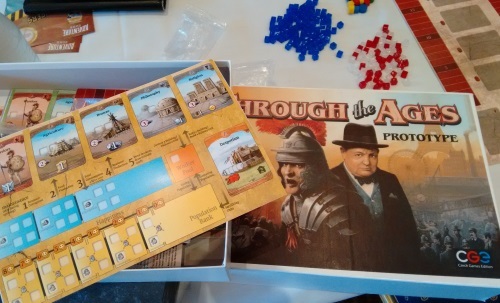 While I’ve made a few small inroads into two new games – one collaborative and one of my own – new design work has largely been on the back burner due to some positive feedback from a publisher on a game I was pushing last Essen. This is potentially great news, and at worse good news – so either way it’s a positive. It would obviously be great to get the game signed, but even if it doesn’t happen the work I’ve been doing on it over the past few weeks has really improved it. I’d be much more confident putting it in front of other publishers in future if this one doesn’t bite. The lack of progress on other titles is frustrating, but its easy to forget just how long game design takes – and how much writing up is as much as experimenting, especially in colaboration: doing it in this kind of programmed environment really brings that home. When I was just tinkering it was something I did of an evening without a care for what was really achieved. Now I’m on the clock I’m realising just how long something like writing rules or cutting out some cards really takes! I’ve also realised I need to get more organised: get a list of game ideas, with a sense of each one’s progression and what I feel I should be prioritising. But also a list of publisher contacts, with an eye for already starting to think about a strategy for Essen. 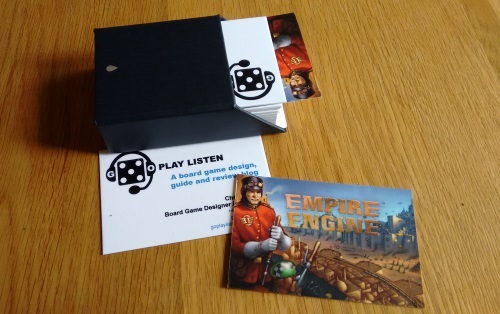 But before then there’s just a few weeks to go until the UK Games Expo, so I need to really prepare for that – both in getting a prototype ready in case I get in on the play-test area and seeing about starting to build a network of contacts. While it isn’t yet the kind of internationally important event it could one day be, it’s the best the UK has to offer and I’d be foolish not to see it as a big opportunity. So all in all it feels like these are exciting times and – so far – I’m glad I took the decision to try this out. I’ll check back in at the end of the quarter. 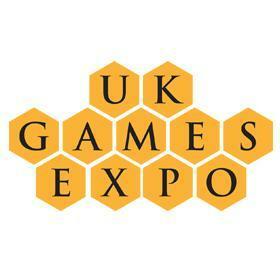 Next month I’m attending my first UK Games Expo at the Hilton Metropole Hotel in Birmingham (May 29-31). It’s the UK’s largest annual hobby games convention and is attended by thousands of gamers, as ell as hosting the national championships and tournaments for the biggest games in the business including Carcassonne and Settlers of Catan. So how come I’ve been to Essen three years in a row, but have never attended UKGE? It’s simply a matter of timing. My better half works in a school, the Expo is in half term, and we’ve usually booked flights to somewhere exotic before I realise they clash. But this year we’re staying local for our holiday, so I can get the best of both worlds. I’ve been a regular at Essen for three years now, and love it, but the UK Expo is more than just a giant board game shop. There will everything from authors, artists and special guests to seminars and talks on all things gaming – as well as it being the UK’s biggest gaming trade fair. It’s child friendly, hosting a family zone packed full of kids activities; plus if you get bored of board games there’s everything from live action gaming (The Dark Room), RPGs (more scheduled here than at any other UK event), costume groups – even a UK cinema premier for documentary ‘The Next Great American Game‘ by Doug Morse. Doug is an occasional visitor to the Cambridge Board Game Design Meetup group and I’m pleased to say a big chunk of us will be in attendance – at least five at last count. 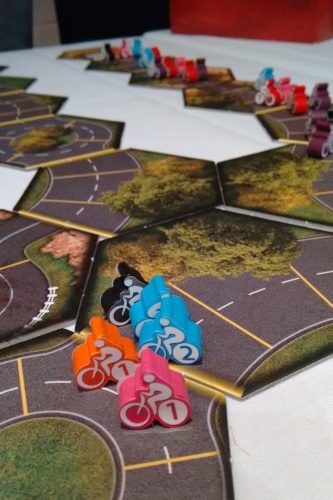 And play-testing is another big reason to attend, as there will be plenty of great prototype games to demo from the likes of Matthew Dunstan and Brett Gilbert. Sadly AEG aren’t in attendance this year, but hopefully Empire Engine will be on sale somewhere! 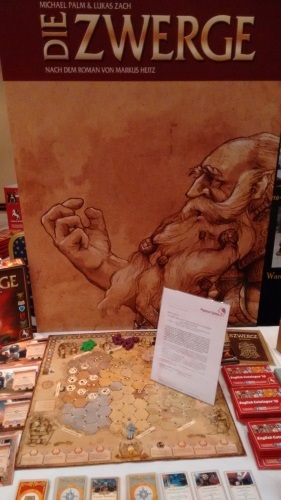 But there are plenty of board game publishers heading to Birmingham: the big boys include Mayfair Games, Czech Games Edition, Asmodee, Queen Games, Ragnar Brothers and Surprised Stare. As a first time attendee I’m not setting myself an agenda but am really looking forward to it. I’ll be there from Thursday night to Sunday afternoon, so if you read the blog at all and are attending please say hi – or preferably buy me a pint. See you in Brum!